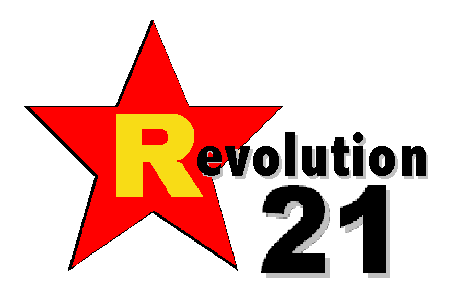 Revolution 21's Blog for the People: Busted. Trapped. In their sights. Over. Out. It had to happen. I turn 50 this month, and the AARP has caught up to me. AARP is the American Association of Retired Persons. You get this mailing -- kind of like a draft notice back in the day, only worse, because the military only wants young people -- just before you turn 50. That's when this bunch of old-fart, bloodsucking bastards starts chasing you down like a crazed redneck with a 12-gauge and a spotlight on his head chases down a scared, helpless raccoon in the dead of the night. Only worse. They try to trap you, using senior-citizen discounts and cheap auto insurance as bait. Then, when you open the envelope, thinking "Gee, that's interesting. What could it hurt?" . . . WHAM! You got your head deep in an open jar of peanut butter when you hear the click of the metaphorical hammer being pulled back on the proverbial shotgun, and it's too late for you, podna. Next thing you know, you're heading out to the Old Country Buffet for a 5:15 supper, dressed to the nines in your "Old Fart" T-shirt, garish Bermuda shorts, calf-high black dress socks and K-mart store-brand tennis shoes. Kill me now. I didn't take 40 well, and I suspect I'll take 50 even less well. If you want to do me a favor, send booze.